Consistently chops bedding material (straw, hay, corn stalks, newspaper). Makes quick work of straw at less than 60 seconds per bale. Adjustable grate has six settings to control output and cutting length. Extra bale carrier folds up when not in use. Plastic top overlay and adjustable plastic wear strip helps eliminate any binding. Available with a Honda, Briggs & Stratton, or electric motor. Aggressive 76-knife rotor with spiral design assures an even power curve for uniform cutting with less horsepower. 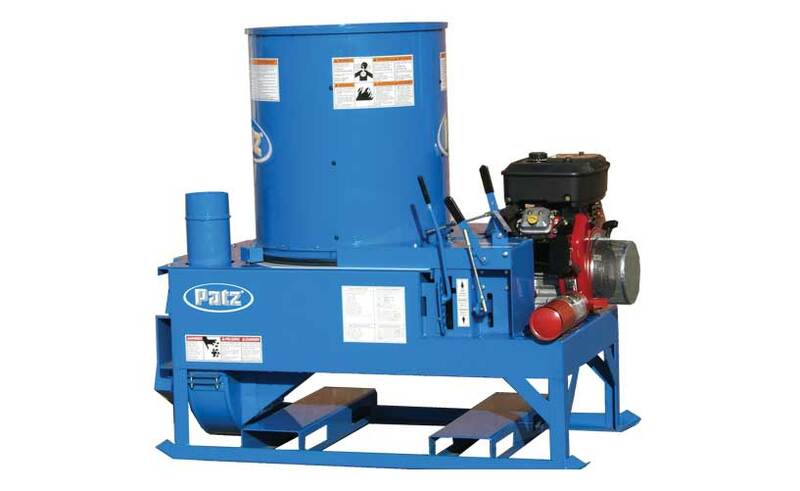 Available in portable, stationary with bottom discharge, stationary chopper with blower, and 3-point hitch chopper with blower units. Multiple power options - gas, electric, or PTO. 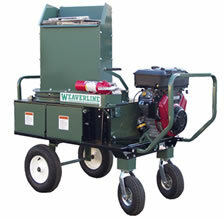 Adjustable, 7-position grate controls length-of-cut of material. 13 HP motor equipped with ES. Double hydrostatic Pump allowing variable back and forth speed. Metal tub 48" x 36". 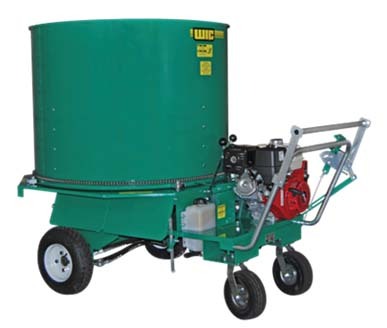 High capacity tub that may contain one large square bale cut in pieces or 7 to 8 small bales without requiring raised panels. Two 10" antipuncture front tires provide great stability and two 16" 6 ply back tires.